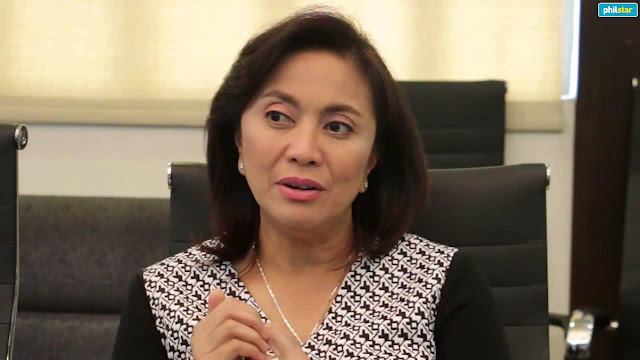 MANILA (UPDATED) - Critics of Vice President Robredo are eyeing an impeachment complaint against her for allegedly betraying public trust over a video message she sent to the United Nations. Lawyer Bruce Rivera said Robredo betrayed public trust when she sent a video message criticizing the government's war on drugs to the United Nations Commission on Narcotic Drugs. He said Robredo "dishonored" the Filipino people by claiming that 7,000 people have died in the drug war of the Duterte administration. Rivera also accused Robredo of misusing Pag-IBIG funds when she was chairman of the Housing and Urban Development Coordinating Council (HUDCC). He said Robredo sponsored a national convention in the US, which is not connected to housing. "Number one, she misstated several things in her SALN. Number two, there are funds in the HUDCC that were not properly used," he said. The lawyer said the complaint has been submitted to a male lawmaker but refused to identify him. He also claimed critics will have the numbers to successfully impeach Robredo. The impeachment complaint was filed on the same day Robredo paid an P8-million cash deposit as initial installment for her counter-protest to former Senator Ferdinand 'Bongbong' Marcos' challenge to her May 2016 electoral victory. House Speaker Pantaleon Alvarez earlier said Robredo's submission of the video was "very irresponsible and a stupid move" as this could hamper the country's economy and tourism. An impeachment complaint was also filed before President Rodrigo Duterte on March. Lawmakers belonging to the Liberal Party, Robredo's political party, earlier said they will not support the impeachment raps against the President and the Vice President, as it would only distract them from important Congress work. For his part, President Duterte also told people behind the impeachment raps against Robredo to stop, stressing that the Vice President has freedom of speech. Rivera, however, said the group decided to push through with the complaint since it is "their duty as Filipinos." "We are not even to the point of wanting to impeach but we just want the world to see that there is a democracy working in the Philippines. Impeachment is a democratic process," he said.